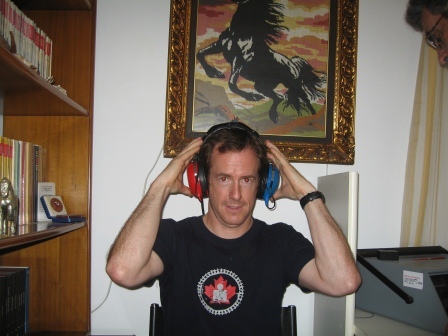 I lost the hearing in my left ear when I arrived in Greece. It has happened before, but now was a lousy time for it. 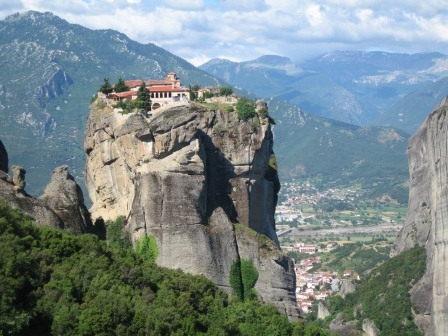 We were driving from the Greek coast into the central highlands to visit Meteora, an amazing natural formation of sandstone pillars upon which are perched 6 Eastern Orthodox monasteries. 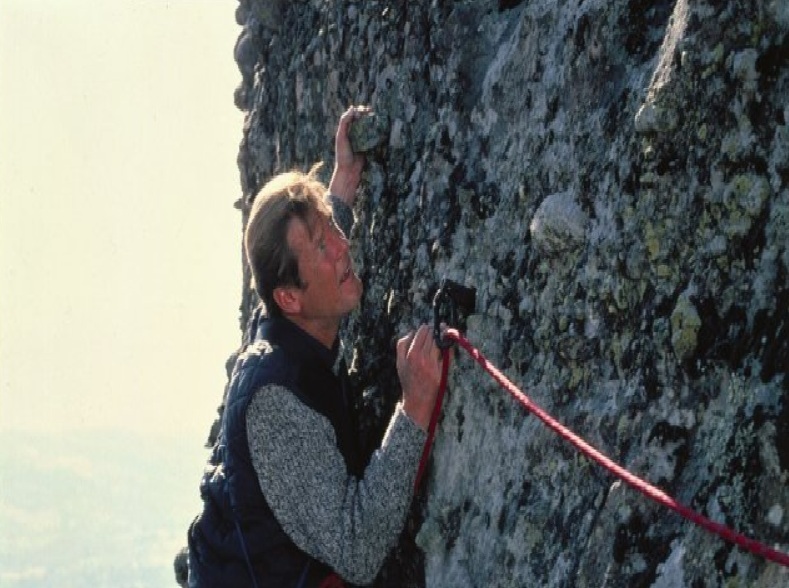 If you’ve seen the movie “For Your Eyes Only” (1981), you’ve seen images of Meteora and this monastery before, when James Bond played by Roger Moore appears to climb its face to break in on a meeting of the villains. Anyway, back to my ear… I am one of the many people plagued with a surplus of cerumen, commonly known as ear wax. This yellow-brown sludge is produced by the glands of the ear canal to protect the skin, assist in cleaning and lubrication, and provide some protection from water, bacteria, fungi, and even insects (yikes!). Despite proper hygiene, every 12-18 months I get a blockage causing me to lose most of the hearing in one ear or the other. Damn my over-productive glands! When this happens, I typically visit a walk-in clinic to have it irrigated with warm water. This inconvenient exercise is done using a bulb syringe to flush the ear until the offending gunk is released. Although this can be done at home with the right equipment, I didn’t have anything with me. I did purchase a pressurized can of saline spray at the recommendation of a pharmacist in Bucharest when I felt the onset of familiar systems, but it didn’t really do the trick. And so it was that I found myself improvising on the side of a Greek road. 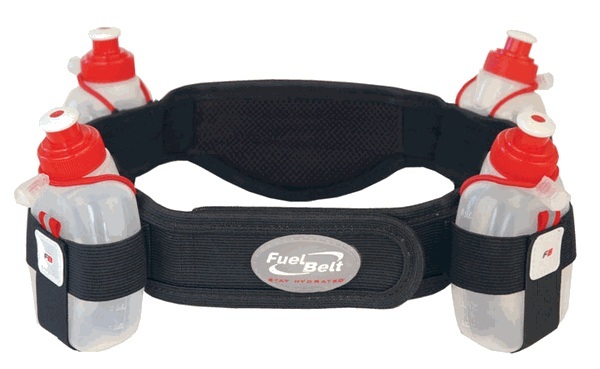 As distance runners (well, at least we were at one point in the not-too-distant-past), the closest thing we had to a suitable injector was one of the plastic bottles from a running hydration belt. Shirtless on the dusty roadside in the heat of the afternoon, I tried repeated to clear the blockage by squirting warm water into my ear while Diane held a plastic wash basin up to my cheek in a futile attempt to catch the spillage. Soaked, I eventually gave up and remained monaural for a couple of days until I could get to a doctor. After visiting our last monastery in the mountains, we drove down to the small town of Kalampaka to seek out a doctor. We thought that a pharmacy might be able to recommend one, so we inquired and were given a name, address, and vague walking directions. After a couple of wrong turns, we found the place. It wasn’t a medical clinic, but a private residence. There was only a small name plate out front, nothing to clearly identify it as a doctor’s office. Out the back, accessed through a long corridor and a flight of stairs, we went through a door and saw a middle-aged man in a side room behind a desk. He spoke good English and greeted us immediately. We joined him in the room. Behind the desk and scattered around the room were a variety of what appeared to be medical equipment, with an assortment of tubes and wires sticking out. Nothing looked particularly new, organized, or high tech. It looked more like a high school science fair than the Mayo clinic. I explained my situation. He asked me a couple of what seemed to be good questions given the circumstances (e.g. How long has it been blocked? Has it happened before? ), and then examined my ear with a bright light. 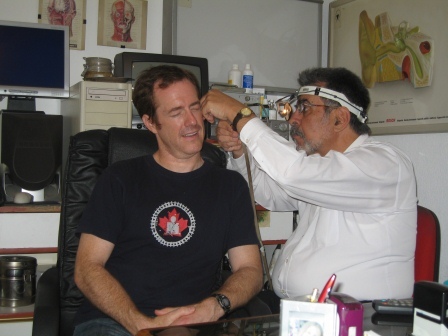 He then attached a thin metal tube to some sort of vacuum pump and proceeded to carefully siphon out both my ears. You can tell it’s a relief! Diane sat there smiling, thinking this was pretty funny. She wondered if I could see what he was about to stick in my ear. By this point though, I was committed. I explained that at home they use a warm water lavage, and he said this this is, “an old method”. It turned out that not only was he a doctor, but an Ear, Nose, and Throat (ENT) specialist. When he was finished, he hooked me up to another machine, tested my hearing in both ears (something they never do at home), and said that it was excellent. We hadn’t discussed costs beforehand, so I assumed that with him being a specialist, I was about to get a big bill, perhaps one worthy of a travel medical insurance claim. But no. He charged me 30 Euro (a bit less than $45). People talk about the Greek crisis and the declining standard of living in Greece. I was able to walk in directly to a medical specialist without referral and without any wait, receive apparently superior treatment to what I would receive in Canada, for a total cost of under $50. In and out in under 20 minutes. Luckily for me, on this day and in this place, this particular aspect of the Greek system seemed to be working very well. This entry was posted in Europe, Travel and tagged cerumen, doctor, ear, Europe, Greece, hearing, irrigation, lavage, Meteora, travel, wax on June 21, 2012 by dreambigliveboldly.